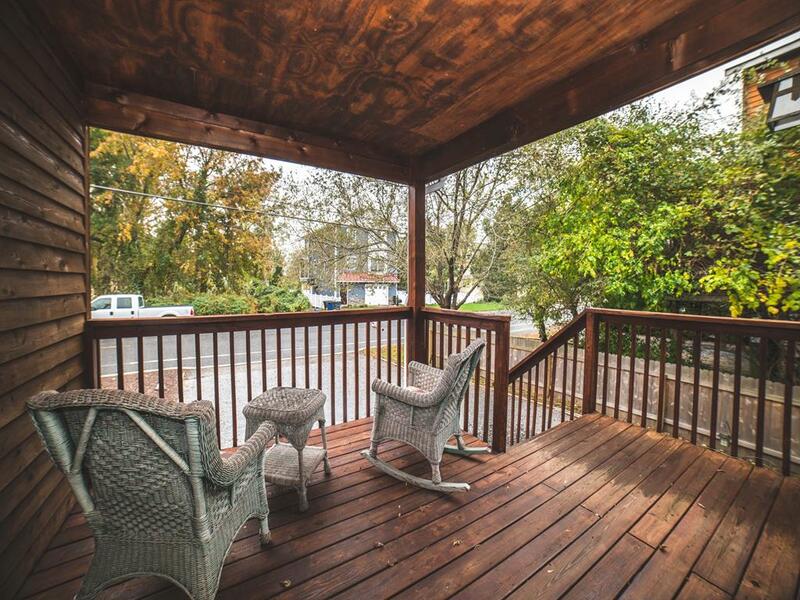 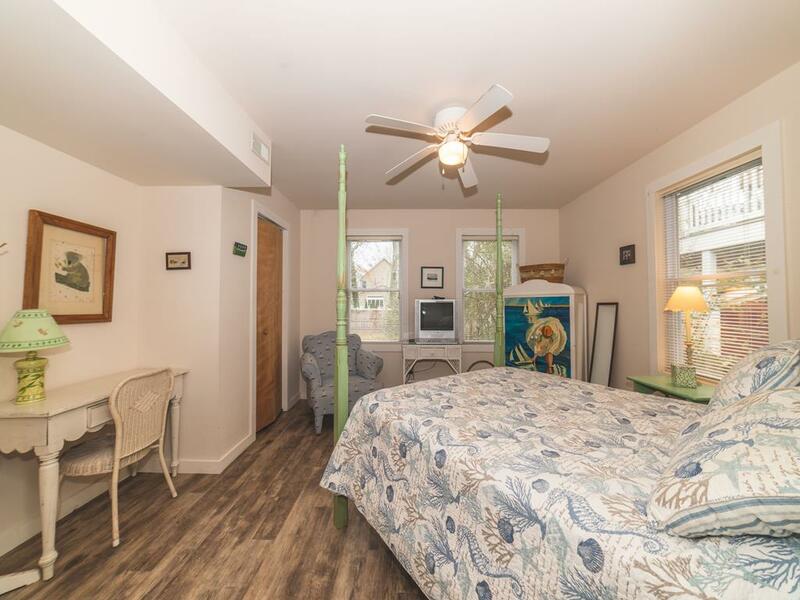 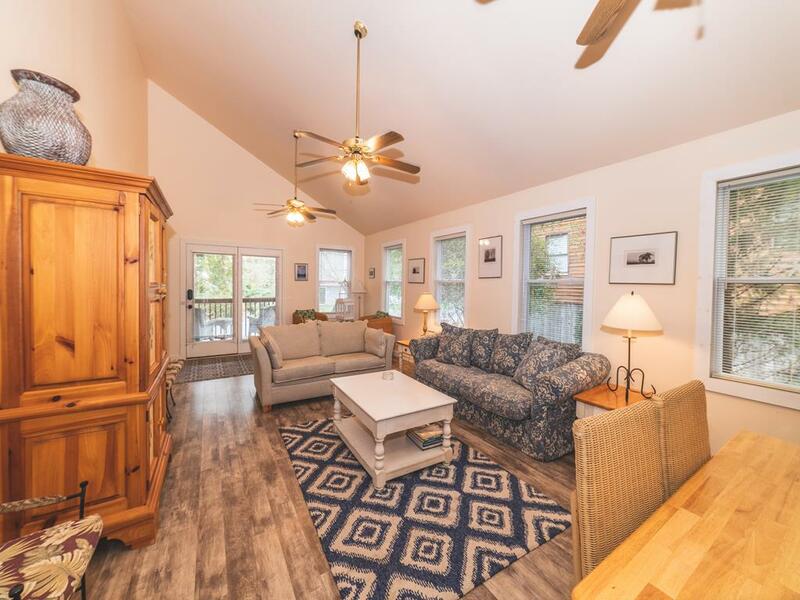 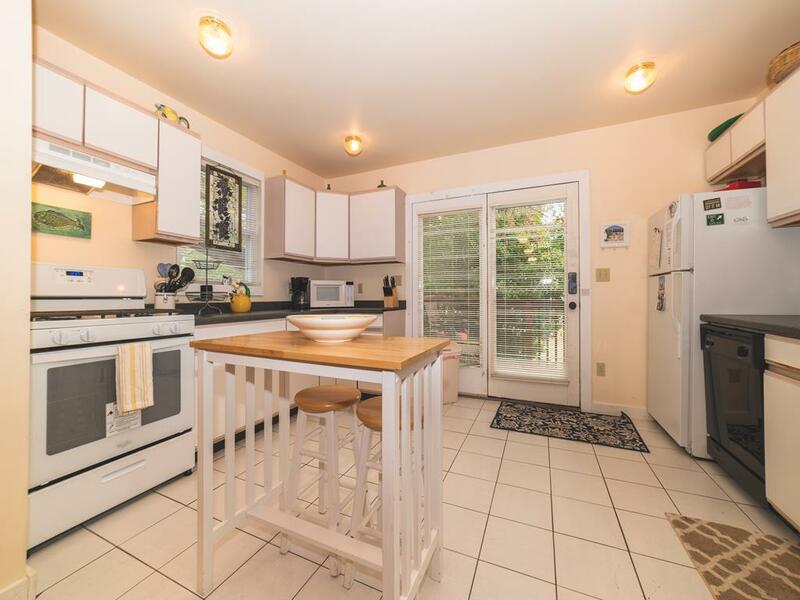 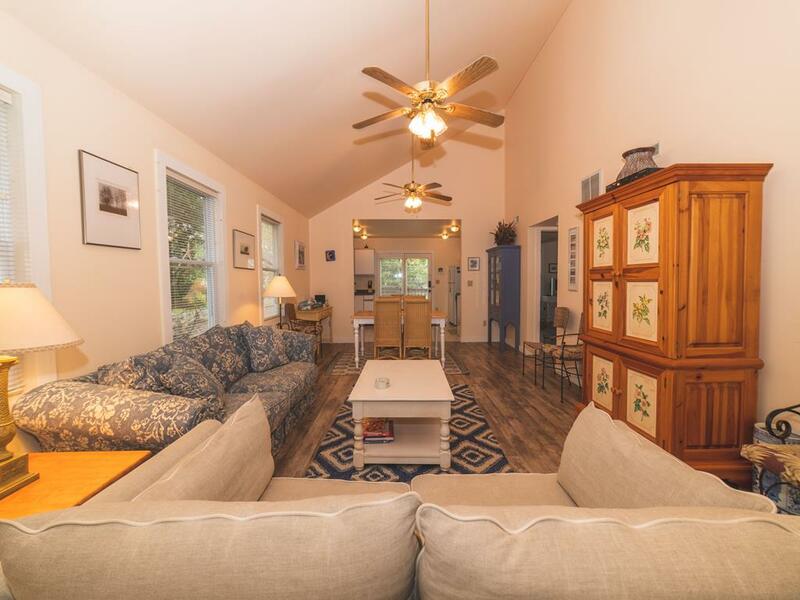 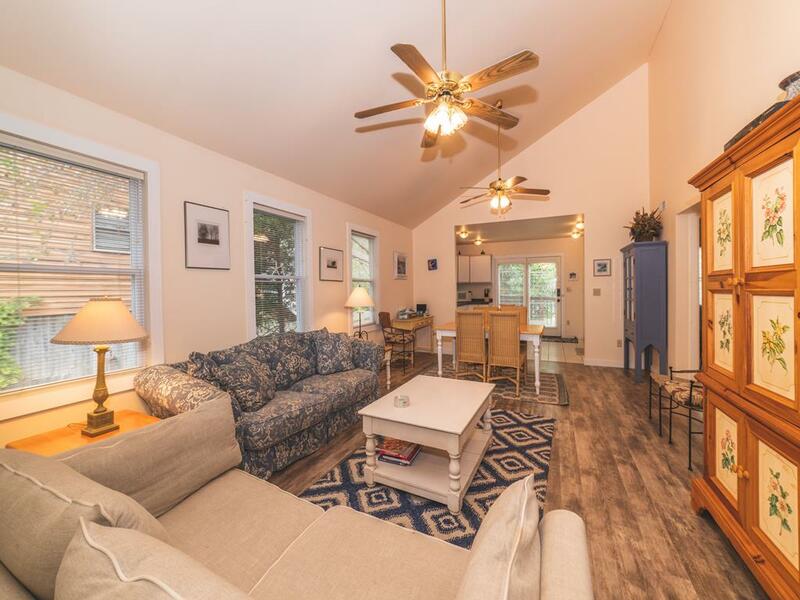 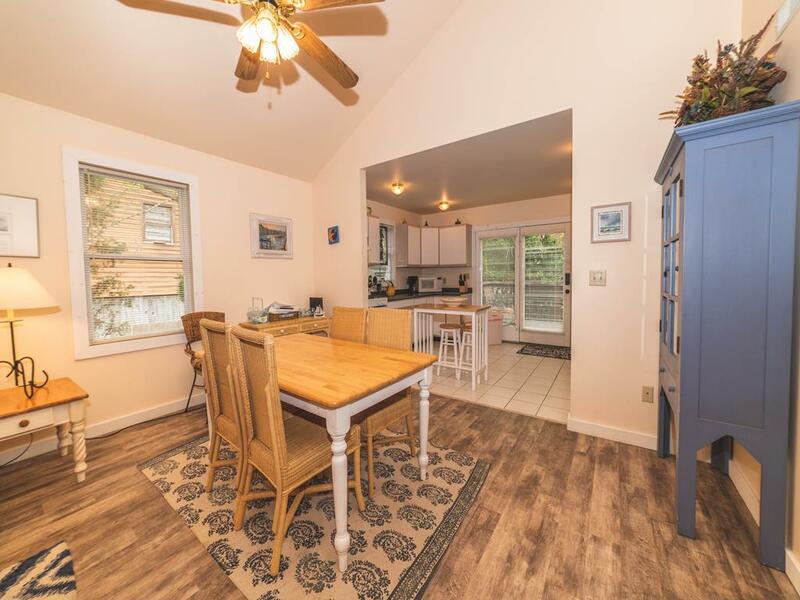 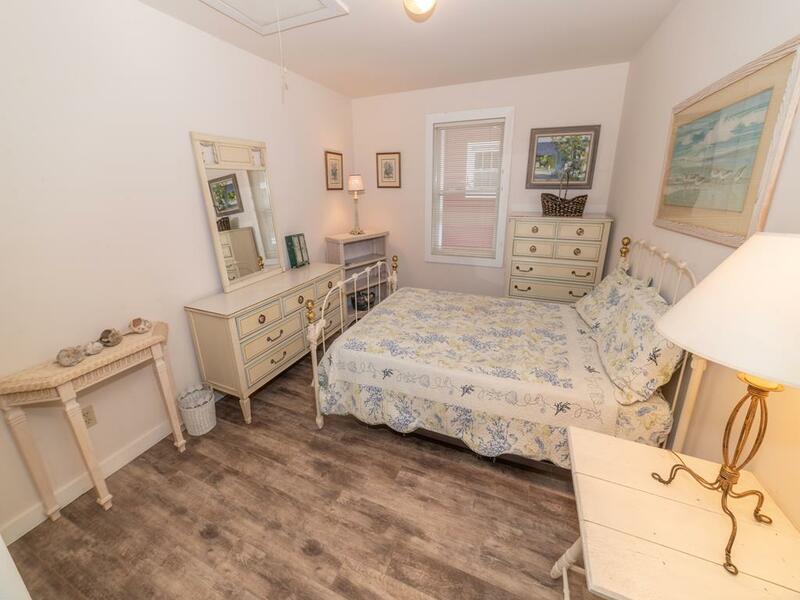 One story, cedar sided beach bungalow ideally located in a quiet neighborhood, yet just a short walk or bike ride to the beach, shops and restaurants. 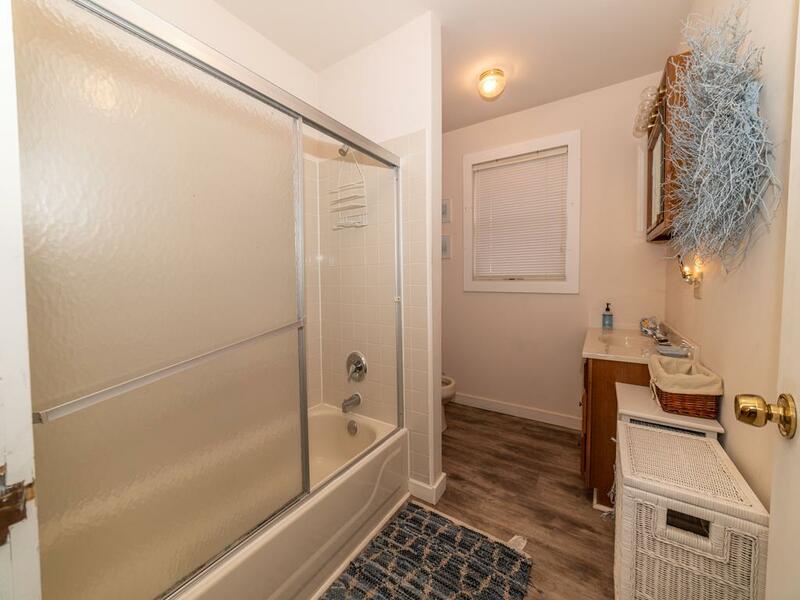 Open concept living area with three bedrooms (two with queen size beds and one with full), two full baths with tub/shower, wireless internet, central a/c, washer/dryer, ceiling fans, two TV s, one a "Smart" flat screen with internet capability and Netflix preload. 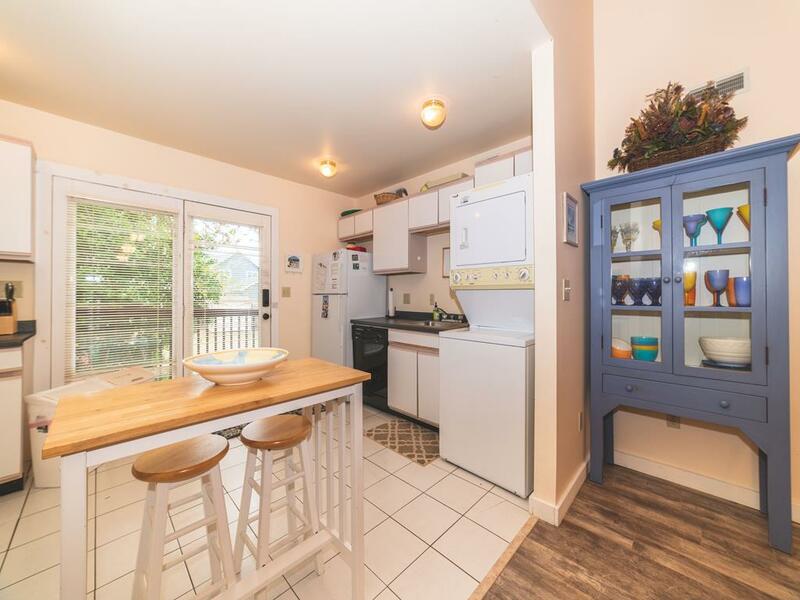 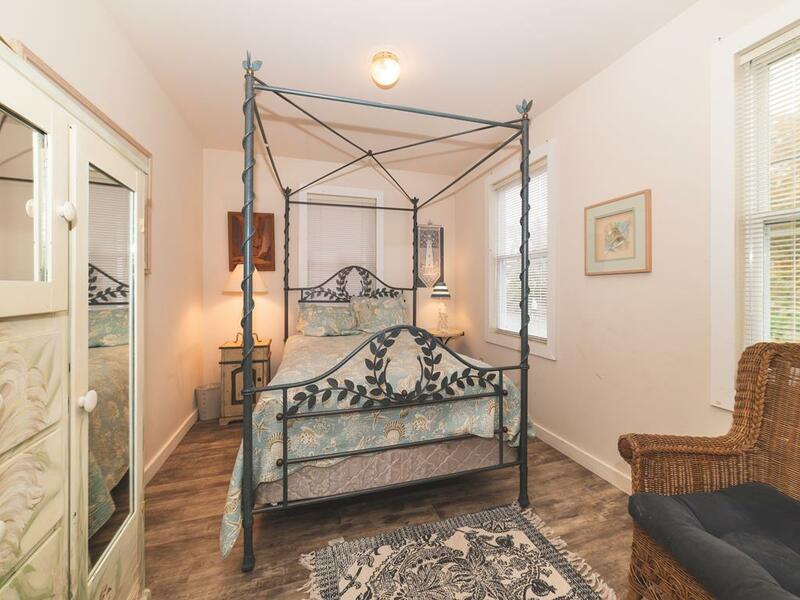 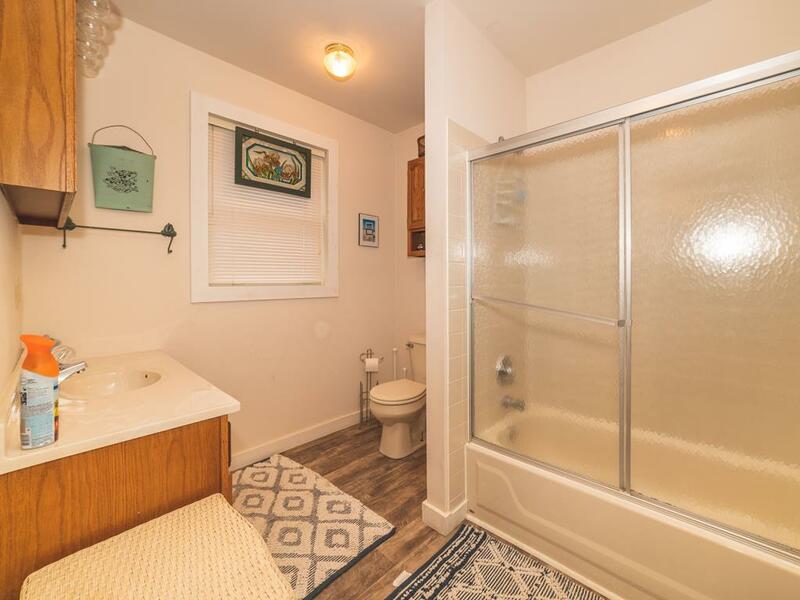 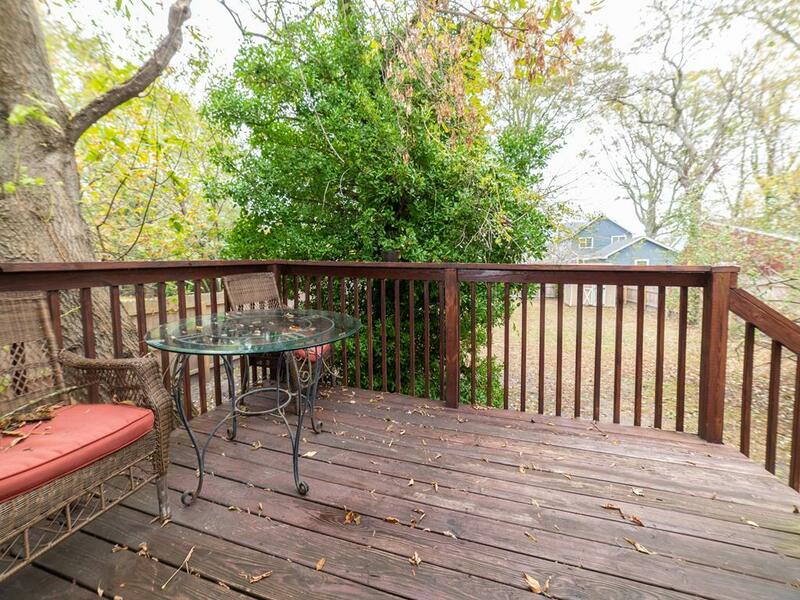 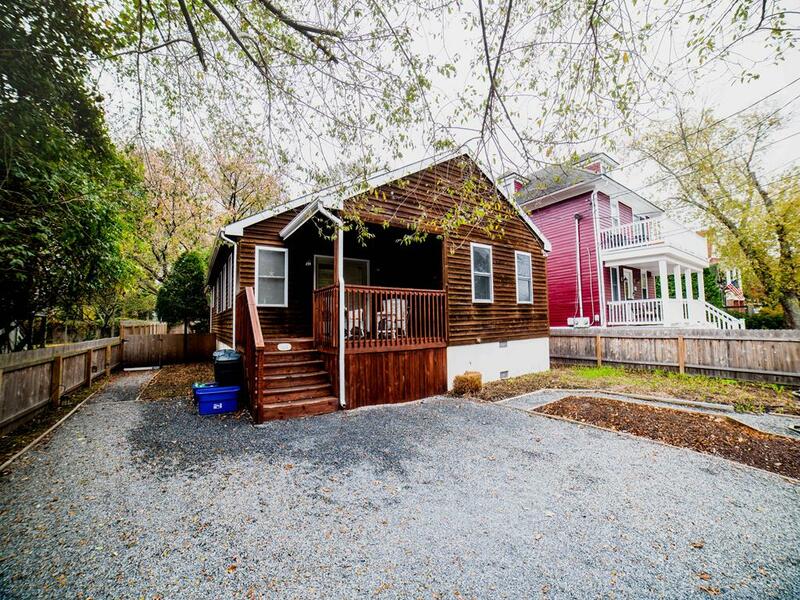 Pet friendly with a large, private fenced in backyard, covered front porch and back deck with electric grill and off street parking for 2-3 cars.